We almost have a new piece of land. Among all the stress of managing the budget at the moment it just seems ridiculous that we are about to spend thousands on some extra grass and trees – it just doesn’t seem quite as useful as groceries or something practical – but apparently its a wise investment and ahead we go. 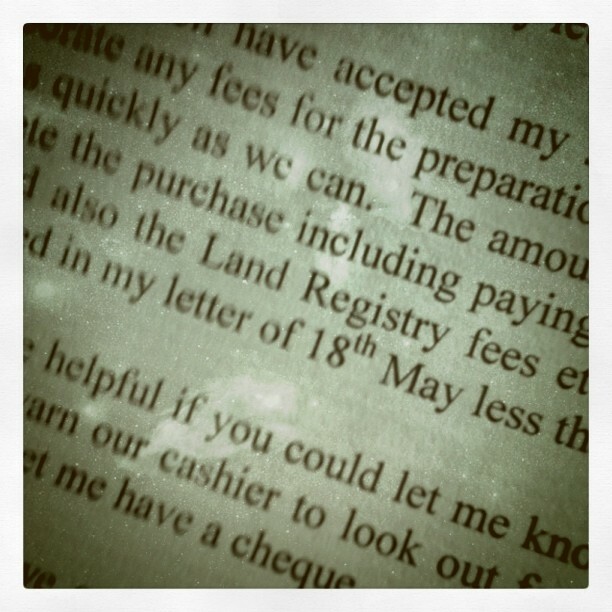 So the solicitors letter arrived to advise us to send payment over as its all about to happen. Hmmm… maybe and I wonder if we will get it and can fence it off in time to send 30 little pirates in to the trees for a treasure hunt?! That would keep them busy and a bit stuck!